Ronnie O’Sullivan held off a resolute Gary Wilson to reach the second round of the Betfred World Championship with a 10-7 win. The Rocket faltered at 5-1 up in the opening session, to end with a 5-4 lead. However, both players produced some high quality snooker this afternoon in a fascinating clash. Despite his exit, the potter from Tyneside has enjoyed a memorable World Championship campaign, making his second career 147 in qualifying and reaching the Crucible for the first time. O’Sullivan clinched a record breaking seventh Masters title earlier this year with victory at Alexandra Palace and if he were to win at the Crucible it would see the 41-year-old draw level with Ray Reardon and Steve Davis on six world titles. The pair went blow for blow in terms of big breaks this afternoon. At 6-4 down Wilson was the first to notch up a ton with a contribution of 100. Not to be outdone, the Rocket restored his two frame advantage with a sublime run of 124. Breaks of 74 and 83 then put him on the verge of victory at 9-5. However, Wilson refused to back down, taking the 15th frame and then compiling a break of 103 to pull back within two. The Rocket wasn’t to be denied his victory and punched the air with delight after a fine break of 90 secured the 10-7 win. Wilson was clearly disappointed at the defeat, but was pleased to have put on a good showing on his Crucible debut. “I’m pleased that I’ve got so close and that I put up a bit of a fight. I honestly felt if it got a bit closer that I had a chance of winning,” said the 2015 China Open finalist. 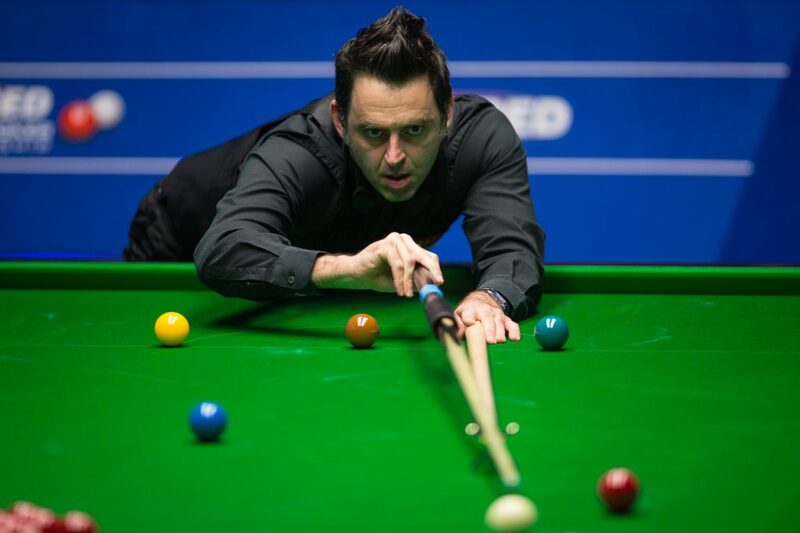 “There’s no better feeling than when you’ve got a chance of beating Ronnie O’Sullivan at the World Championship. 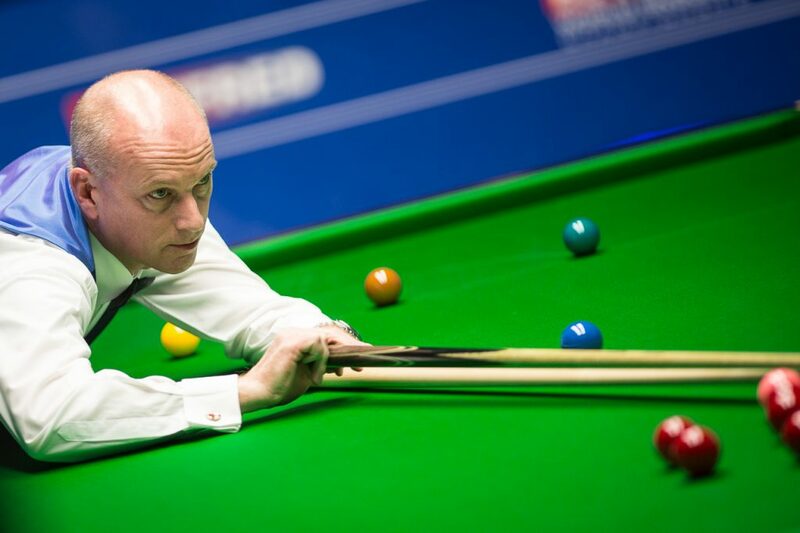 A pumped up Peter Ebdon fought back to stay in touch with Stuart Bingham at 5-4 in their opening session. The 2002 World Champion Ebdon is making his 24th appearance at the Crucible, 25 years after making his World Championship debut. He was clearly relishing the stage and the occasion as much as ever this afternoon. Bingham ended a 21-month ranking title drought, which extends back to his World Championship victory in 2015, at the recent Welsh Open in Cardiff. He looked to be in impressive form this afternoon as he established leads of 3-2 and 5-2. Bingham compiled breaks of 91, 80, 74 and 122. Ebdon made it 5-3, before a remarkable climax to the session. He managed to force a respotted black after needing four snookers and deposited a tough shot to the bottom corner to steal the frame. In scenes reminiscent of some of his finest Crucible performances Ebdon erupted with delight, punching the air and setting up an intriguing final session.